In this third Daisy book, Daisy once again turns the tables on Mum with hilarious results. Daisy's mum tells her: 'Don't pick your nose!" 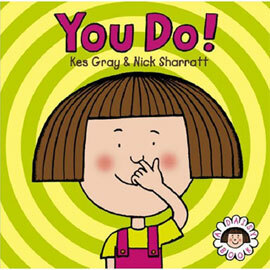 ''You do!' says Daisy, pointing out the time mum was picking her nose on the way to Gran's. And each time Mum tries to reprimand Daisy for a bad habit, Daisy has an example of when Mum did it, too. If you liked Eat Your Peas and Really, Really, you will love this book!